Peru made a quick start, putting the 1998 champions under pressure, and Lloris - on his 100th appearance for France - was almost embarrassed when Yoshimar Yotun's lob from the half-way line dropped over the crossbar. 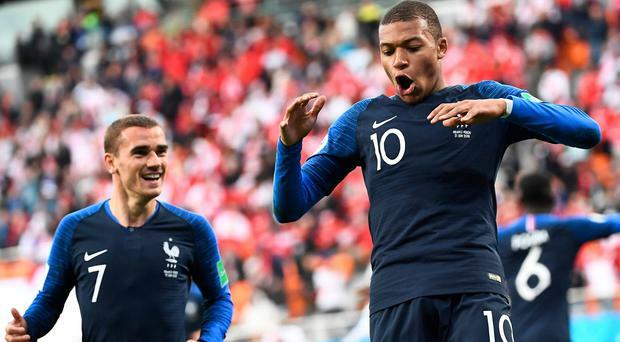 Peru's tempo and pressing left France on edge but Antoine Griezmann did seize on a ricochet yet sliced well wide after 11 minutes. The country's 35-goal record scorer collected the ball, took it past Samuel Umtiti but could only drive at Lloris with just the keeper to beat. The forward had already miscued a volley when Giroud's effort looped over Gallese and into Mbappe's path for an easy tap-in. Jefferson Farfan hit the side netting with 17 minutes left as Ricardo Gareca's side began to run out of time to save their World Cup dream. They continued to press and while Guerrero's free-kick tested Lloris with three minutes left, Peru failed to find an equaliser.